Last week was one of the most stressful of my life. 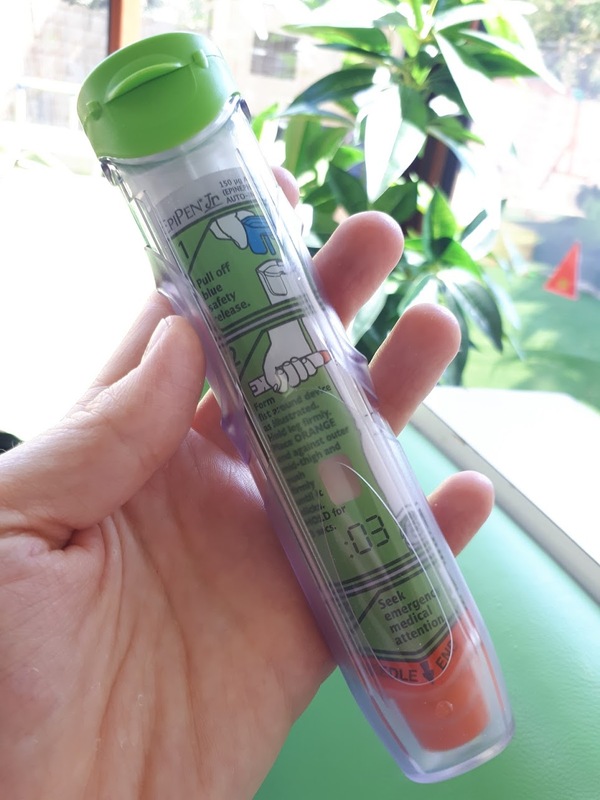 My son suffered a severe anaphylactic allergic attack, we don’t know what caused it and Chile was out of stock of the Epipen adrenaline autoinjectors for use in case of an an attack. I barely slept last week as I messaged, texted, blogged, whatsapped to try and track one down. For any other parents going through this hell, I thought to outline my points of call to speed up your Epipen search. Creciendo con Alergias Alimentarias. This charity should be your first point of call. They routinely stock Epipens and if they don’t, they might be able to point you in the right direction. Email them first at info@creciendoconalergias.cl. Also see their website: www.CreciendoConAlergias.cl. They’re based on Av. Las Condes 6815 and are open from Monday to Friday from 10am to 2pm. When I checked Epipens were priced at $120,000 CLP each. Contact the manufacturers. Epipens are made by a company called King, a subsidiary of Pfizer and they’re marketed by a company called Mylan. I tweeted Mylan (I had no joy calling them) and received a follow up call the following day from their South America office. Explain your situation and they may be able to help. Try social media. I was overwhelmed with the messages of support and offering help through Facebook. Discover Chile and Discover Chile: English Speaking Moms might just be your lifeline to the Epipen you so desperately need. See if anyone can offer you a spare, or if anyone is willing to bring you one from abroad. Be clear and provide as much information as necessary, because if you’re like me, you might struggle to sift through questions and messages of support to find the most promising leads. Go down under. 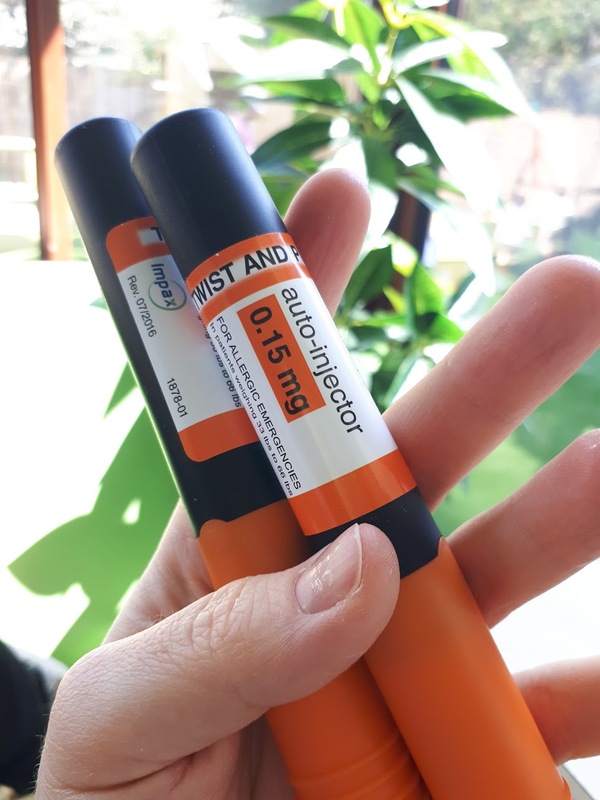 In Australia Epipens are available without prescription and as I write this they are priced at a mere 100 Australian dollars, which works out at just under $50,000 CLP. I have friends who have brought them in to Chile with no issues, but if you run into any issues, you might like to request a certificado from your immunologist. I’ve heard that the Chilean consulate in Australia is extremely helpful too. Go stateside. In the US, Epipens and Epipen alternatives are more readily available. If your doctor is uncomfortable prescribing a medicine while you’re out of the country, they might be OK to do so if you have a Chilean prescription you can send via email or fax. Consider an alternative from abroad. If you have any contacts with foreign doctors ask them to write you a local prescription for a generic epinephrine autoinjector. A box of four Impax Laboratory autoinjectors cost my friend $168 USD (that’s about $110,000 CLP). The only difference I can see is that the needle needs to be pushed down for ten seconds, instead of three. Another alternative brand I’ve heard is licensed for use in the UK is Emerade, while the Canadian government has just made Auvi-Q available for use. Auvi-Q is smaller (credit card shaped) and requires a three second hit only. Ask your clinic. By law, hospitals are only allowed to offer adrenaline to hospitalised patients. However, if you find yourself without an Epipen for any reason, then explain your situation and the clinic may be able to help. No doubt they wion’t be able to provide you with Epipen autoinjectors, but they might be able to supply you with adrenaline to administer via syringe (they’ll show you how to do this… believe me, it isn’t as scary as it sounds). Try Chile Spouses. Ask around friends if anyone is a member of Chile Spouses, a paid for membership for partners of Chileans permanently based here. These people are well connected and might have ideas. Contact your medical insurance providers. If your providers are anything like ours, this will take time, but definitely worth a shot. Contact a support group or charity, such as the Anaphylaxis Campaign in the UK or the equivalent in your home country. While they might not have the latest on Epipens here, they’re worth contacting for general information and protocol. Finally, a word to fellow parents of kids with allergies: you’re not alone. Here are my top coping mechanisms, which in no way make life easy, just a little less painful. Thank you very much for this information. We arrived in Santiago on Saturday and within our first 30 minutes here two of our bags were stolen while we were at a cafe, one of which contained my son’s Epi-Pens. We need to replace them since we won’t be back in the States until July. Will pharmacies accept a prescription from abroad or do they require one from a local doctor? I’m so sorry to hear this. We had two EpePens stolen too. The best place to ask is at the Fundacion Creciendo con Alergias. They generally require all prescriptions to be less than 6 months old, originals (no photocopies), they must show the patient’s RUT (or passport no as I imagine your kids won’t have a RUT ID), the dosage of the EpiPen (0.3 / 0.15mg) and the quantity you want. Their tel no is Tel: 2 2951 6223. Do you speak Spanish? They’re open Mon – Fri in the mornings only and are very helpful. Our Spanish is not good enough to have a conversation on this topic so I sent them an email. If I don’t get a reply soon I’ll go in person and get a Spanish speaking friend on the phone to help translate. Thanks again, I’ll let you know how it goes. I will do anything I can to help and I’m around today. My Spanish isn’t brilliant but I can get by enough to help you. Update – Today I was able to buy a replacement Epipen JR at Creciendo con Alergias Alimentarias with a prescription written by our US doctor. The cost was $127,500 CLP and the Doctor that I spoke with there was fluent in English. Tweeting Mylan didn’t do much good; their Twitter person said they’d pass my issue along to customer relations but so far they have not contacted me. I also tried contacting Farmacia Daniela through WhatsApp. They replied that they didn’t have any Epipens but could import one on request (takes 60 days). Thank you again for this valuable information and for your offer to help out! I am so relieved that it worked out in the end. Yes, I’m afraid EpiPens are very expensive here. The Fundacion is great and they really do their best, but as I’ve written before it makes me upset and angry that there is no state policy to ensure the country is without stock. Because EpiPens are so expensive and they hav a short validity pharmacies don’t want to run the financial risk of keeping them in stock. Hope the rest of your holiday goes smoother from now on.